The University of Illinois Springfield held its annual Faculty Honors and Recognition Reception on Wednesday, May 2, 2012. Chancellor Susan J. Koch and Vice Chancellor for Academic Affairs and Provost Lynn Pardie presided over the ceremony honoring faculty members who have received tenure and/or promotion, been awarded sabbaticals, or granted emeritus status. Three major awards -- the Pearson Faculty Award, the Spencer Faculty Service Award, and Oakley Distinguished Online Teaching Award -- were also presented. 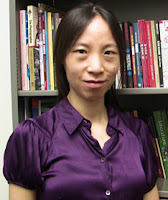 The Pearson Award for outstanding teaching was presented to Lan Dong, assistant professor of English. The award recognizes a faculty member who has established a record of teaching excellence and supports his or her continuing development as a teacher and a scholar. The award was established by a gift from Dr. Emmet and Mary Pearson, longtime benefactors of the campus. Course evaluations show students find her courses motivationally as well as intellectually challenging and interesting. Not surprisingly, her file is filled with letters from students who praise her and express deep appreciation for her many strengths as a teacher. Dong’s area of scholarly focus is in world literature and Asian/Asian American literature. She has taught a wide array of courses in her areas of specialization, at every level of the undergraduate curriculum, and in both on-ground and online modes of delivery. The Spencer Award was given to Michael Lemke, professor of Biology. Honoring Robert Spencer, founding president of Sangamon State University, this award recognizes faculty who best exemplify the ideal of the “professor-citizen” through public service and service to the academic community. Lemke is founder and director of the Therkildsen Field Station at Emiquon, the second largest restoration project in the United States. Since 2001, Dr. Lemke has been a central figure in the creation and operation of the field station. It took years of effort to make the Field Station a reality and Professor Lemke devoted countless hours to planning, developing, and fundraising on behalf of the project. Lemke has also contributed significantly to his profession, serving as an editorial board member and as a reviewer for several journals in his field, as a grant reviewer on several National Science Foundation review panels, and as an expert reviewer of textbook and test bank content on biology and ecology for major publishers. Elizabeth Kosmetatou, assistant professor of History was honored with the Oakley Distinguished Online Teaching Award. The award was established by Burks Oakley II, who helped launch UIS’ online programs. The Oakley Award recognizes UIS faculty members whose performance exemplifies the institution’s commitment to excellence in online teaching. Kosmetatou believes that her greatest strength as a teacher is her “…deep love, passion, understanding, and enthusiasm for History…” and she works very hard to infuse her courses with those qualities, no matter the mode of course delivery. She has been willing to take risks in her online courses, experimenting with new approaches and embracing student feedback to help ensure the quality of her teaching. 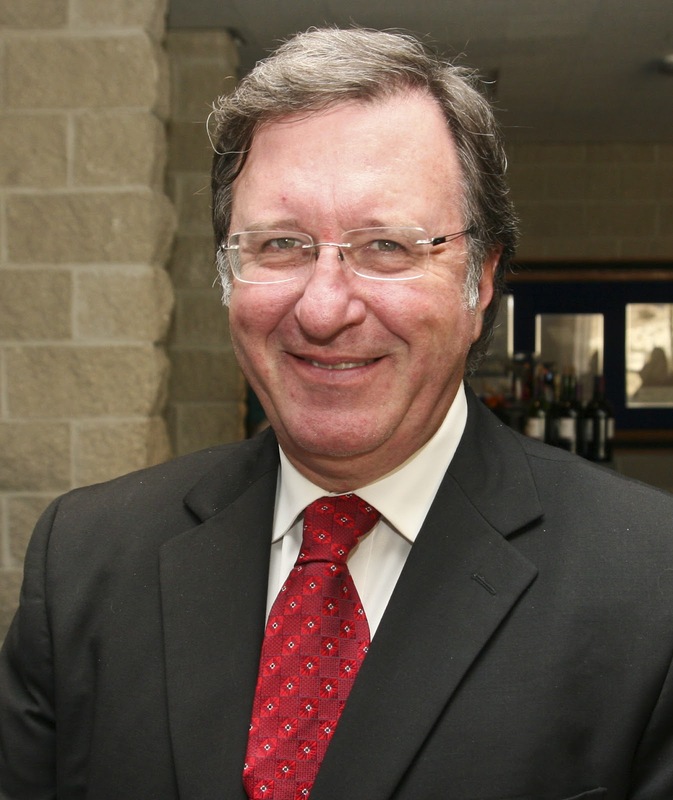 “By all accounts, Dr. Kosmetatou has indeed been successful in engaging students in some of the most challenging aspects of the learning process by making the material personally relevant to them, by encouraging their self-expression, and by increasing their capacities for disciplined dialogue within the safe spaces of the courses that she teaches,” said Chancellor Koch. Recommended for tenure and promotion to associate professor were Deborah Anthony, Donna Bussell, Hua Chen, Lan Dong, Richard Gilman-Opalsky, William Kline, Marc Klingshirn, Elizabeth Kosmetatou, Chung-wei Lee, John Martin, Tung Nguyen, Karen Pressley, Dennis Ruez, Stephen Schnebly, Nathan Steele, and Missy Thibodeaux-Thompson. Peter Boltuc, Beverly Bunch, and Donald Morris were promoted to the rank of full professor. Receiving the designation of emeritus faculty were Allan Cook, Wayne Gade, Robert McGregor, Mark Puclik, and Larry Stonecipher. Sabbatical leaves were granted to Adriana Crocker, Lan Dong, Tena Helton, Ranjan Karri, Kemau Kemayo, Jennifer Manthei, Martin Martsch, Jonathan Perkins, Nancy Scannell, and Yifeng Zhang.